I have to confess something. I’m not sure what exactly I just read, but I really enjoyed it. I guess if I had to classify it as anything, I would call Foreign Identity by Becca J. Campbell a sci-fi mystery thriller romance. It begins with two strangers waking up chained to a wall with no idea of who they are. As they struggle to find their freedom as well as their own identities, the reader is pulled along in an intriguing web of mysteries. Becca and I have been writing friends for over two years now. I’ve read a lot of her stuff and enjoyed all of it immensley. She has a great writing voice, her characters are always intgruiging, and her genre is the same genre that I preger to work in. 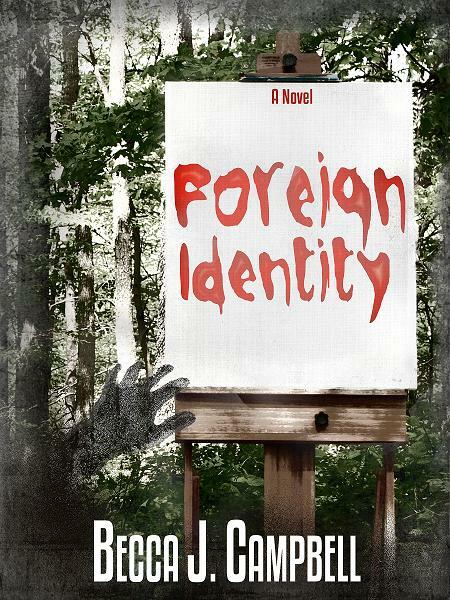 When I heard that Foreign Identity was going to be unlike anything Becca had written previously, I got a little worried. What if I didn’t like this new thing she’d been working so hard on? What if I had to actually finda way to tell her this? Fortunately, my fears were completely unfounded and grossly wrong. Becca has proven that she can handle any genre, and this novel is superb. In fact, I couldn’t put it down. Read the latest excerpt from Becca’s book here!